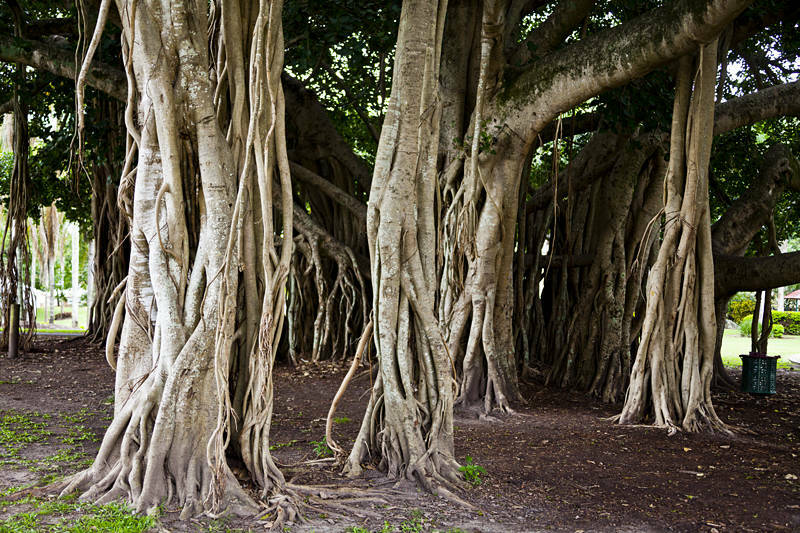 This is a Banyan which is a form of strangler fig. This particular type is the national tree of India although this specimen was in Queensland, Australia. It starts by growing on a host tree. If the host dies the fig is able to support both trees with aerial prop roots. The result is a huge nest of roots and branches which can cover several acres.